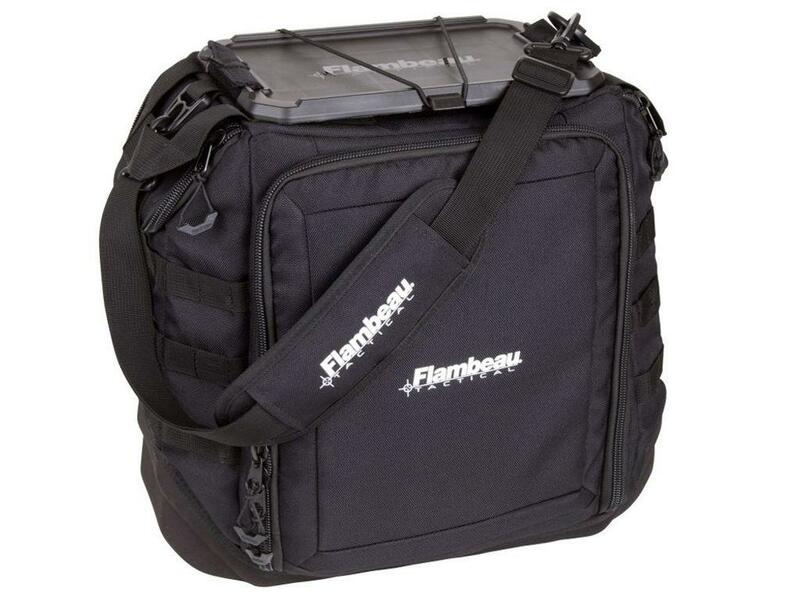 Flambeau Hexa Range Bag | ReplicaAirguns.ca | New Website! Comments: This mobile pistol command unit carries everything you could ever need for a day of shooting. 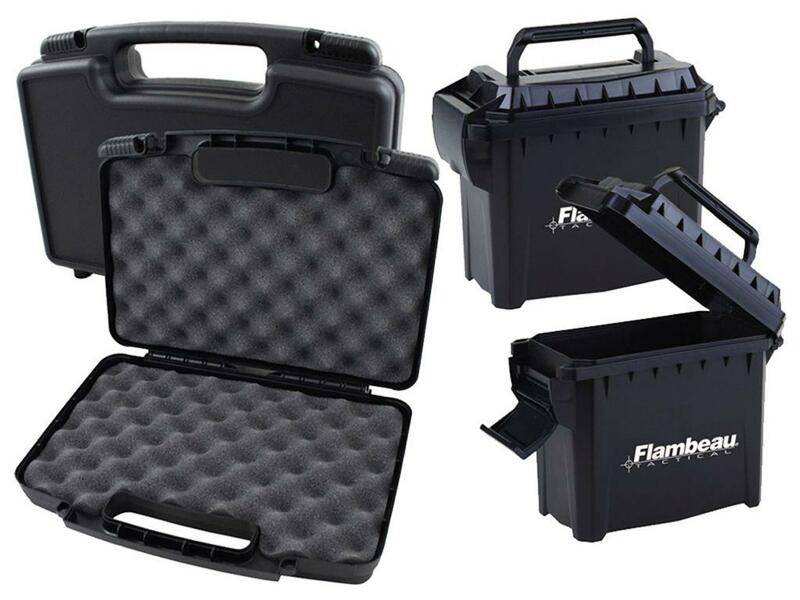 The Hexa Range Bag has a main compartment designed specially to hold two 14-inch pistols cases and two ammo cans. The bag also has two side pockets, a rear zipper sleeve, and a compression omlded EVA bottom. 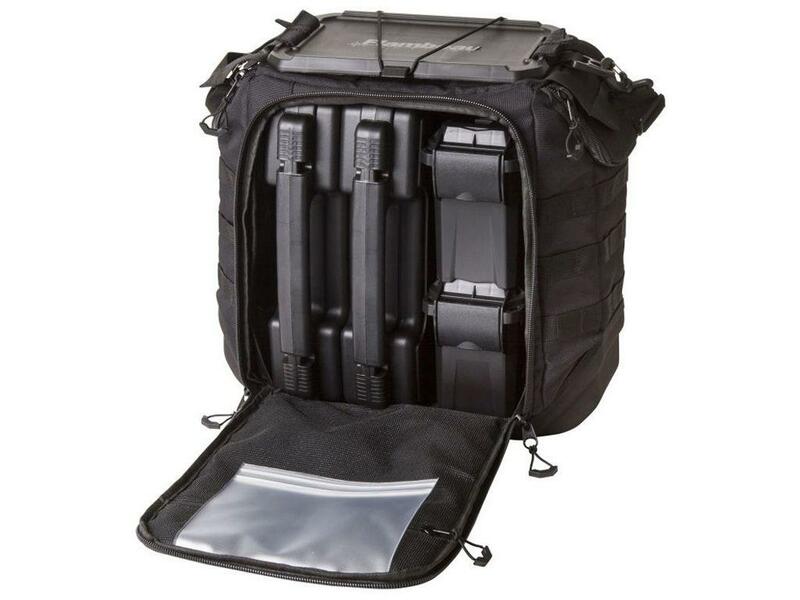 MOLLE webbing across the exterior allows you to customize your setup with further tactical pouches.